A Warm welcome to our amazing readers! In this post, we have shared all the latest online marketing news, industry news, blog updates, etc. happened during the month just for you. Snapchat has hired a New Vice President where Facebook has recently launched Flight Ads. Even Twitter is also one step ahead by introducing Audio Podcast on public demand. There is a lot to catch up. 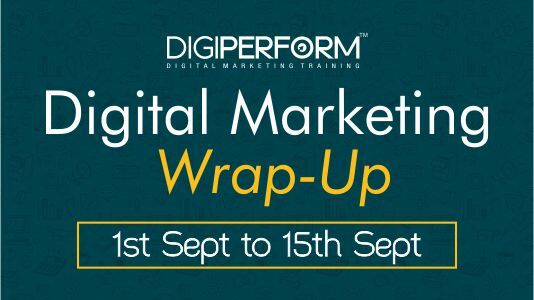 That you can simply do by checking out this post where we have shared all the latest digital marketing happenings of this week. Making the right decision in marketing is not always easy; especially when it comes to targeting an audience for your own benefit. So, how do marketers come up with great ideas? What kind of strategy do they follow for their business marketing campaigns? That’s where case studies can help. 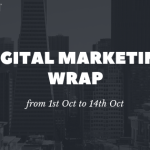 To understand in a much better way, we have shared the list of Top 8 Indian Digital Marketing Case Studies that will help you to learn innovative ways of creating marketing campaigns. 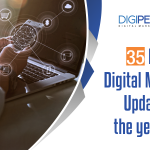 As a marketer, there is no doubt that you are aware of the constant changes that the world of digital marketing is experiencing. Being a digital marketer means understanding minute tactics of the new web algorithms and know how to work by keeping them in mind. However, there comes a time when you feel messed up and seek for a guidance to understand what are the various ways to enhance your marketing skills. Therefore, its high time to understand what are the demanding online marketing skill sets that every marketer should master for a better career. Social media is important to overall marketing and customer engagement strategies. With limited time to spend on social media activities and so much to consider, marketers are looking for ways to save time and increase their efficiency. Therefore, we have pulled together 20 amazing social media hacks that will help to boost your business online presence. Why Is Visual Content Important For Your Business Marketing Strategy? It’s already been forecasted by Marketing Gurus of the World that Visuals will dominate 2019 than any other form of content strategy. Visual Marketing will lead the online marketing industry and urge businesses to incline more towards it. Images and videos will become the ‘Universal Language’. Visual Content increases message association, brand awareness, engagement and helps to connect with your audience efficiently. Agree or not? Keep reading our blogs as there will be a lot more to come. Happy Reading!